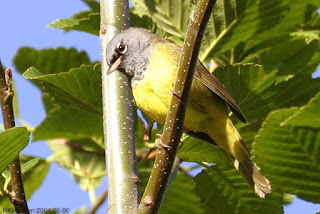 MacGillivray’s Warbler just off the trail. A Sooty Grouse was seen on the Westwood Ridges above Westwood Lake in Nanaimo. A Gray Jay was seen up on Little Mountain in Parksville. A Spotted Sandpiper, Blue-winged Teal and green-wing teal were seen on the Plummer Road side of the Englishman River in Parksville. A Black-headed Grosbeak was seen at the Morrell Sanctuary in Nanaimo. A Black-headed Grosbeak was spotted at a backyard feeder along Meridian Way in Parksville. A Whimbrel was seen this afternoon at Pipers Lagoon in Nanaimo. 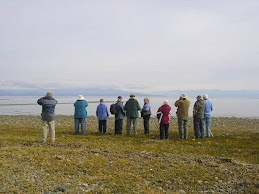 The Tuesday bird walk went to Lot Ten in north Qualicum Beach. The morning was cloudy with sunny periods and calm winds. We heard a Hammond's Flycatcher singing and were finally able to see him as he moved in just above us near the trail. 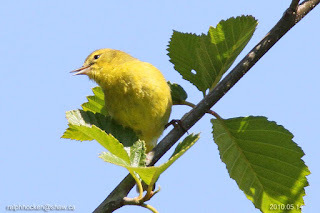 A Warbling Vireo and a Wilson's Warbler in a short bush gave us great views. 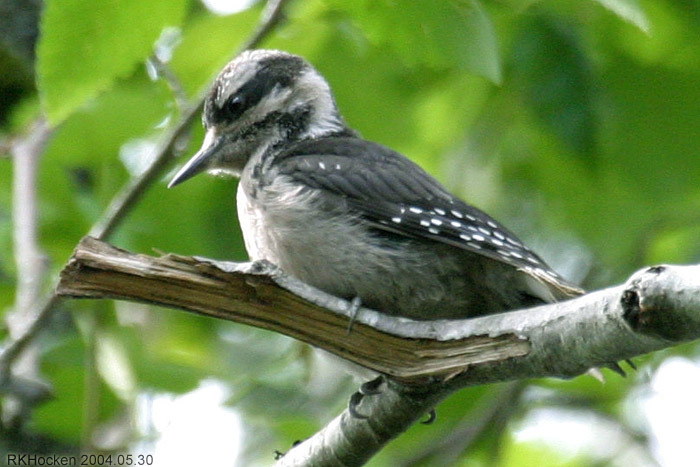 We spotted a female Hairy Woodpecker feeding along a tree trunk next to the trail. A little further on the trail we saw a male Downy Woodpecker also feeding on a tall tree. We heard American Robins mobbing a bird and then spotted a Barred Owl in plain view, ignoring the mobbing robins. Three small shrew were seen along the trail. 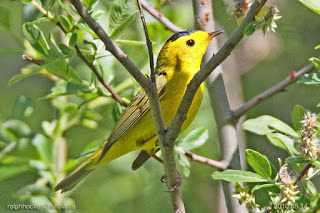 Seventeen birders including visiting birders from the United Kingdom and Ontario saw and hear the following thirty-five species. The Tuesday bird walk on May 09, 2017 will be going to the Shelly Road side of the Englishman River in Parksville. Meet at the Parksville Community Park at the parking lot near the Lions Club Kids playground at 9:00 a.m. or on ocean side of Shelly Road off highway 19a at about 9:10 a.m. The Sunday bird walk on May 14, 2017 will be going to Neck Point Park in Nanaimo. 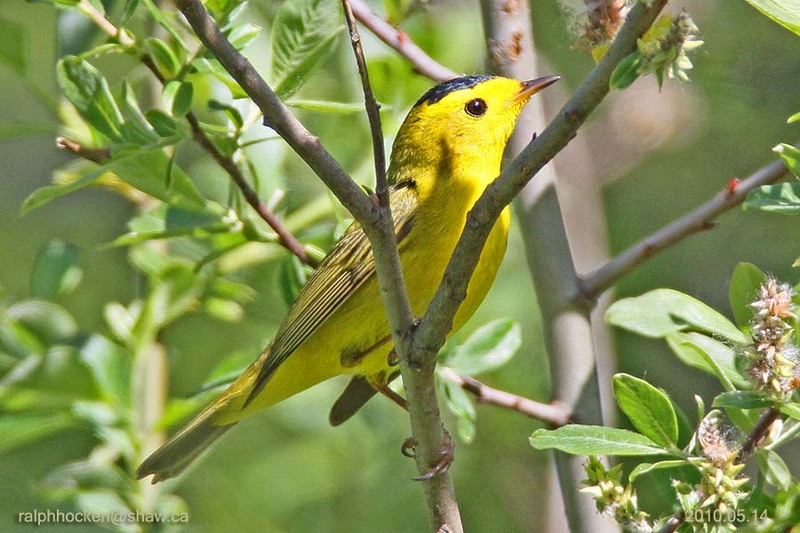 Meet at the Backyard Wildbird & Nature Store at 9:00 a.m. or the Neck Point Park parking lot off Hammond Bay Road at about 9:15 A.M.